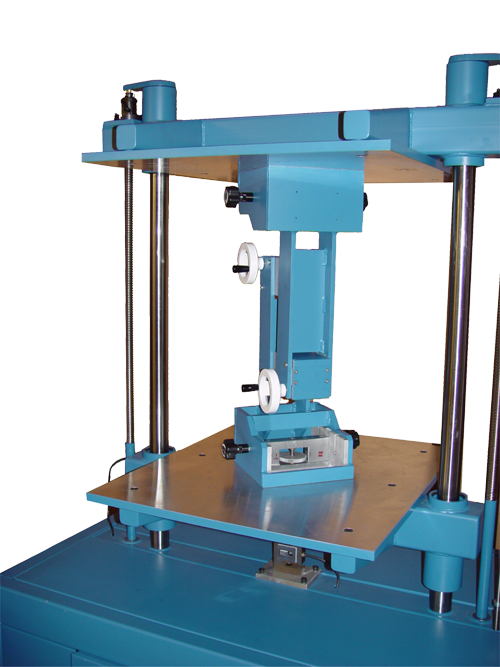 Emerson Apparatus manufactures a variety of test fixtures for all of your crush testing and compression testing requirements. 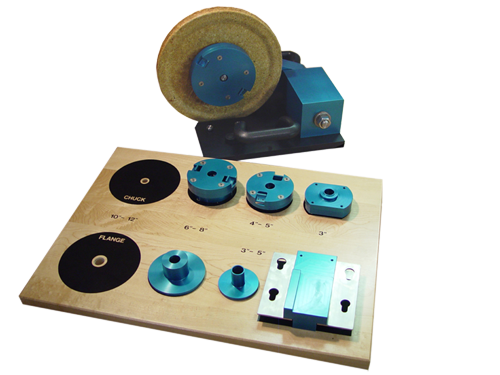 These easy to use test fixtures include our patented Edge Crust Test (ECT) fixture, ECT Calibration & Maintenance Kit, Ring Crush, Pin Adhesion, Flat Crush, Cobb Test, Core Holding, Basiloid Tensile, and Tape Tensile fixtures, all built to exacting standards. Emerson leads the way with our patented ECT Holding Fixture, which utilizes the mechanical clamping method referenced in TAPPI Test Method T 839. The clamp method produces consistently higher results than the wax method, with ECT values equal to or better than the wax method and without the variability often associated with it. Why choose Emerson’s ECT Fixture? The Emerson ECT fixture IS the industry standard directly referenced in TAPPI specifications. Custom alloys, proprietary production equipment, heat and chemical hardness treating, specialized manufacturing procedures, highest precision long-life components, per-piece quality assurance, after-market user calibration capability, and decades of experience working with standards organizations as well as end users allow us to offer the quality and reliability that the industrial testing industry needs and expects. 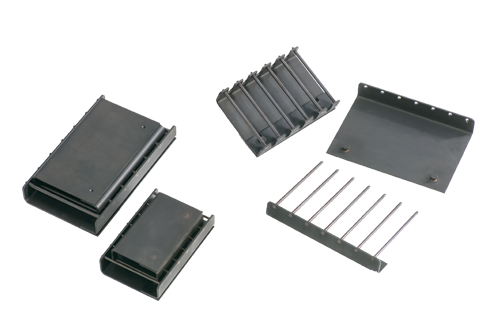 Emerson’s ECT Calibration & Maintenance Kit consists of a precision 1/4″ x 2″ x 2″ calibrated parallel block and tools used for periodic parallelism confirmation for Emerson’s Patented ECT Fixture. Emerson Ring Crush Fixtures utilize precision disk sets to cover calipers from <.0050″ to >.0390″ as prescribed in TAPPI Test Methods T-818 and T-822. 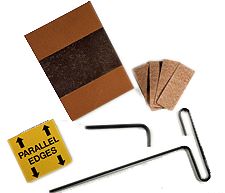 A full range of paper calipers from <.0050″ to >.0390″ can be handled using the 12-disc Set. 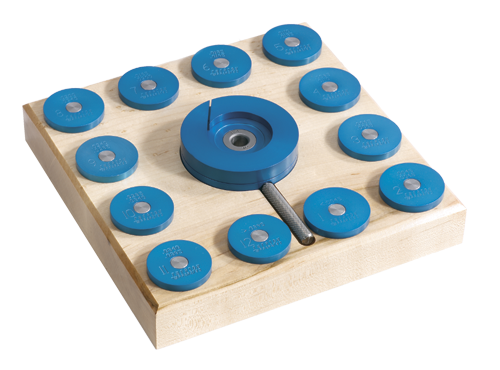 Emerson’s Core Holding Fixture is designed to facilitate core edge crush testing without interfering with test results by assisting the core to stand vertically before testing begins. 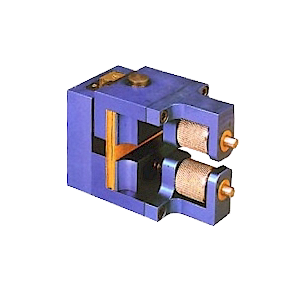 Prevents core from kicking out of the fixture, which could cause an unsafe condition of ejected debris. For use with Emerson Compression Tester Model 5205. 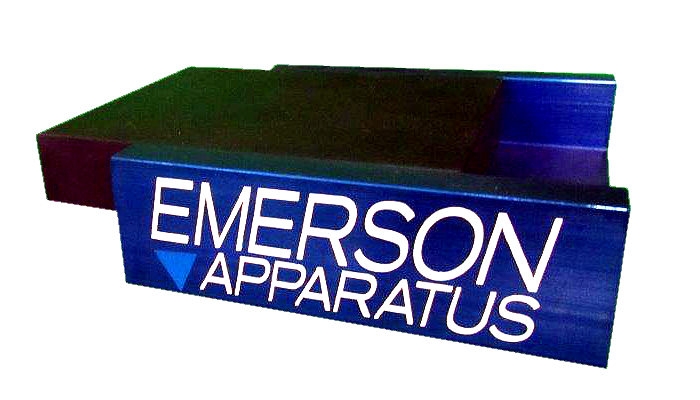 Emerson’s Basiloid Tensile Fixture was developed for all Model 6200 to 7200 size Emerson Compression Testers to test the tensile strength of Folding Cap Carton lifting points using the compressive force of your Emerson Compression Tester. 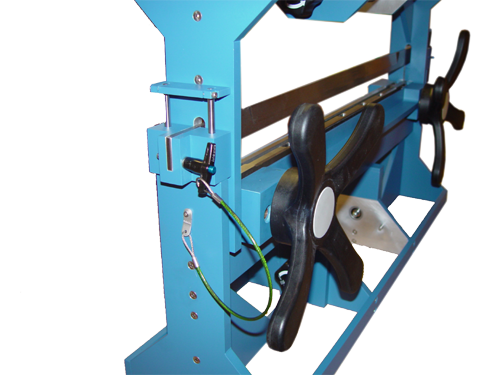 Emerson’s Tape Tensile Fixture was developed for all Model 6200 to 7200 size Emerson Compression Testers to test the tensile strength of tapes using the compressive force of your Emerson Compression Tester.